First item I snatched up. The base color is yellow (a color that I never ever wear! 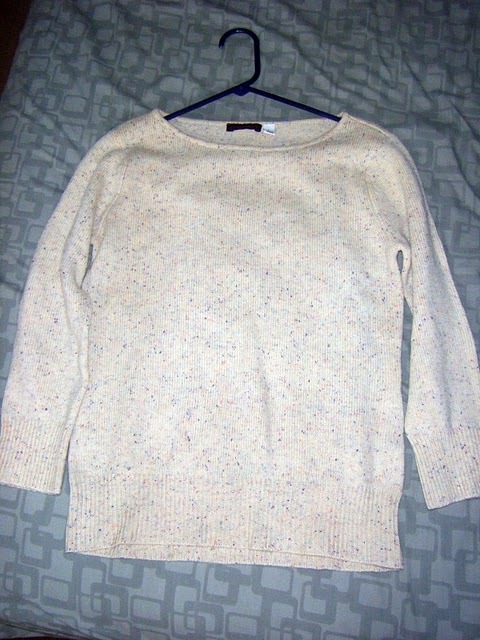 ), but I couldn’t pass it up because it reminded me of funfetti. Mmmm, delish! 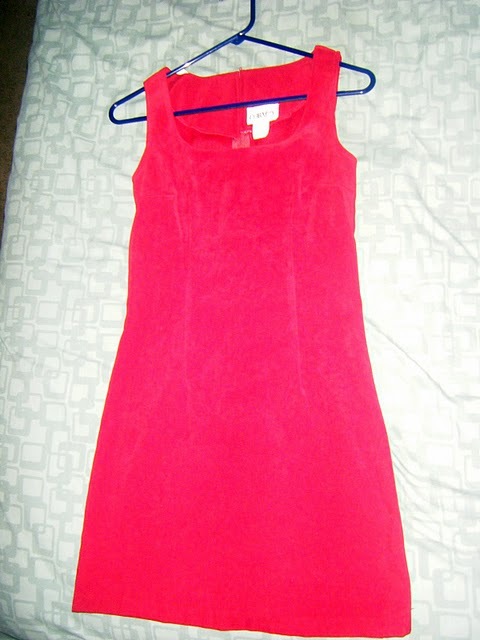 Reminded me of the dress that I wore in this post. I just really loved its classic shape. Three reasons why I love this sweater: 1. Beautiful reddish/purplish color, 2. 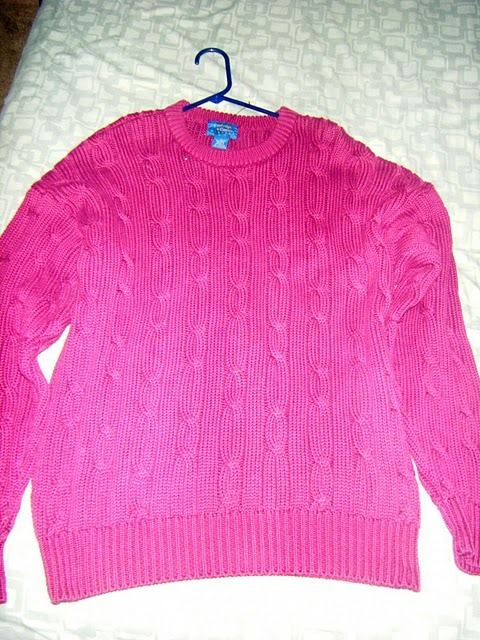 Really thick knit- very heavy and very warm, 3. Will probably be wearing this when I head to the airport tomorrow to fly back to the East Coast and since I was dumb and left my coat at school, this baby will be one of my layers of protection against the biting cold that awaits me. 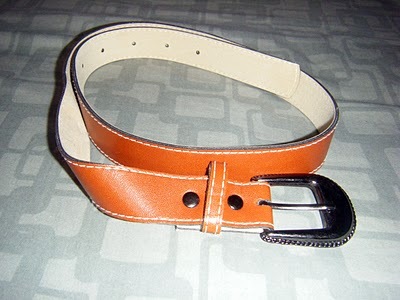 Based on this recent shopping trip, this might be the year-of-the-belts for me. I mean, I know it’s too early to tell, but half of this purchase was belts, so that must mean something! 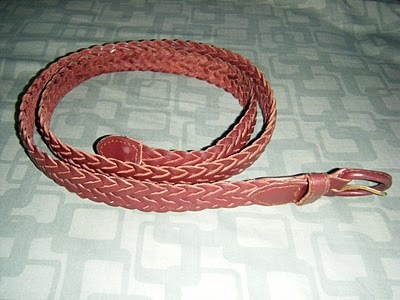 This one is my favorite though because it is oh so buttery soft, leading me to believe it’s made of real leather. 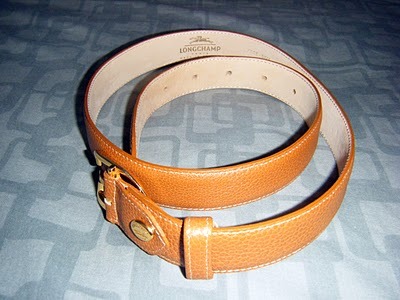 Plus, it has Longchamp stamped on it- I have to admit, that’s a little bit exciting! What do you think? Have you had any great thrifting finds lately? Also, stay tuned later today for a post about an exciting project that I’ve joined and that you can participate in too!